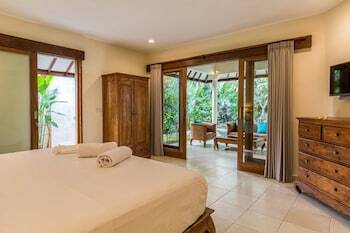 With a stay at Bali Zen Villas Umalas in Kerobokan (Kuta Utara), you'll be 14 minutes by car from Batu Belig Beach. Featured amenities include luggage storage and a safe deposit box at the front desk. A roundtrip airport shuttle is provided for a surcharge (available 24 hours), and free self parking is available onsite. With a stay at Amaris Hotel Dr. Susilo Grogol in Jakarta (Grogol), you'll be within a 15-minute drive of Jakarta Cathedral and Tarumanagara University. Free self parking is available onsite. With a stay at Airy Damai MT Haryono 31 Balikpapan in Balikpapan, you'll be within a 15-minute drive of Plaza Balikpapan and E Walk.